JANA LEWITOVA, mezzosoprano, is one of the foremost Czech musicians devoted to the interpretation of Renaissance and Baroque scores. Studying classical singing under Professor Karel Berman at the Prague Academy of Music, and later under Terezia Blum, she followed the Summer Academy courses in Early Music under Jessica Cash in Innsbruck. 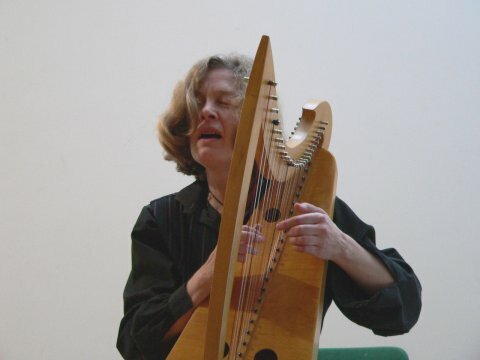 Her concerts at home and abroad (e. g. Early Music Network, London) have introduced audiences to first performances of many unpublished, previously unknown compositions. She sings with early music ensembles (Camerata RSX, Musica Florea, Capella Regia Musicalis, Collegium Quodlibet - Jiri Stivin, Ritornello) and with well-known soloists, with whom she also records. Jana Lewitová also sings contemporary music, as a soloist with the Czech ensemble AGON, the Slovak VENI, Peter Kotik's S.E.M. Ensemble of New York and Slovak ensemble tEoRia OtraSu. After years spent in the company of musicians performing Renaissance and Baroque works, the mezzosoprano Jana Lewitova has turned more and more towards old anonymous songs from different collections (Sephardic, Moravian, Czech, Slovak and from regions of the British Isles). She is accompained by the Hungarian singer and violinist Agnes Kutas a the lutenist Lenka Mitasova, previously accompained by Vladimir Merta (lute and guitar), and by the lutenist Miloslav Student. In such untraditional venues as teashops, synagogues, old manors and art galleries she accopanies herself on a baroque viola and a small harp. Between years 1998 and 2007 she and Vladimir Merta run a summer school in Slavonice. 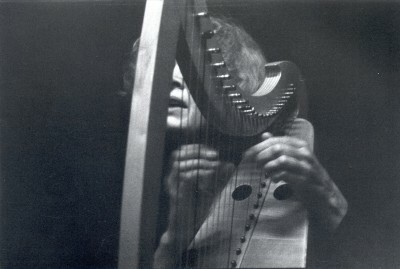 She composed music for the performance Étáín of Tineola theatre.